Software bugs can often be a real pain, especially when they do strange things to something you rely on, like a smartphone. Apple has suffered with more than its fair share of strange bugs in its iPhone operating system, iOS, with many of the more embarrassing relating to the clock and its inability to place nicely during clock-changing season. 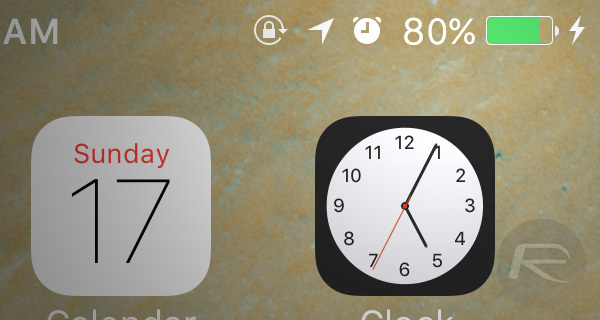 Now a new bug looks to be causing some grief, and this time, it’s stopping some users from seeing up-to-date battery percentages. Apparently affecting the iPhone 6s and iPhone 6s Plus, some users of the devices are reporting that the percentage figure on their handsets is not updating correctly, meaning they don’t know how much juice they have left, which is bad, even with the larger battery in the iPhone 6s Plus. The issue, as highlighted by an entry on Apple’s support website, relates to the iPhone’s clock and is exacerbated by users who either move between timezones a lot or set their iPhone’s time manually. We don’t really understand why at this point, but stranger things have happened, especially with the mess iOS can get itself into when asked to change the time! 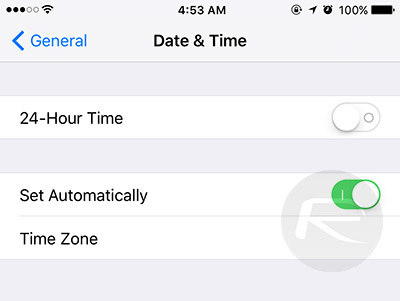 The fix, at least until Apple solves the problem in an upcoming release of iOS, is to reboot your phone and then have iOS set the time automatically by heading to Settings > General > Date & Time and selecting the relevant option. We haven’t run into this particular problem ourselves as we do already have our iOS devices update their time automatically and don’t change timezones very often, but your mileage may obviously vary. Apple’s iOS 9.3 beta 1 release is already out, but it’s possible that a later beta or the shipping version will include a fix for this issue. Apple is aware of the bug, so we shall all just have to wait patiently for a fix. Just make sure you keep your iPhone fully charged while you wait. I have the same issue on my iPhone 6 Plus and I’m suffering from it but I’m already set the time automatically so do you have any suggestion for my case. I have the same issue with my ipad mini. It acts as though it not charging, but when I unplug it, and give it a reboot, it shows the real percentage. my jailbroken iphone 5s on ios 9 suffers from the same problem. And also the battery sometimes automatically drains. last night i left it on 84 and went to sleep after turning on low power mode. woke up next morning and it was 3%. as i unlocked it it automatically shut down. what could be the problem ?